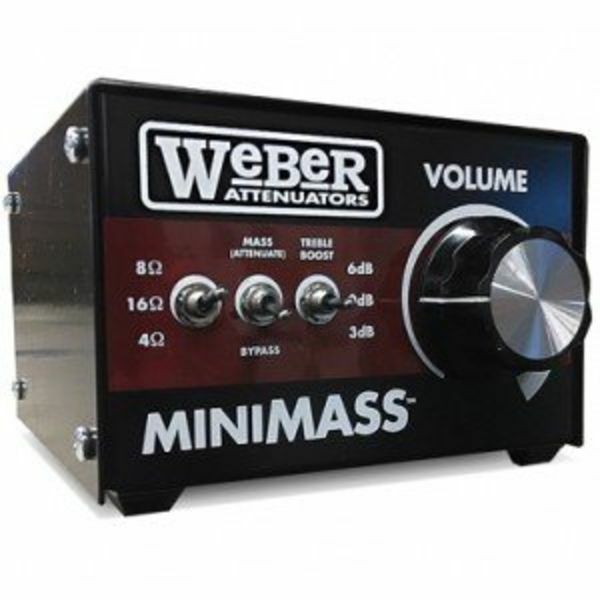 Weber attenuators are well known for their excellent quality and friendly price. You won't find another attenuator of this quality for the same price. 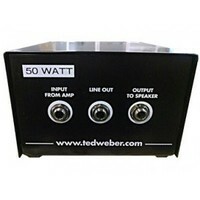 50 watt MiniMASS. 4, 8, 16 ohms, treble compensation, MASS bypass, line out. The MiniMASS employs an actual speaker motor for realistic interaction between the attenuator and the output circuit of the amplifier. The MiniMASS utilizes an actual speaker motor to apply a reactive load on the amp. These attenuators are unlike any other on the market, and provide a much more interactive, natural sound when in use. They affect the tone less than the resistor-based models. The attenuation is continuously adjustable from zero to over -50db. By turning the speaker control to minimum (maximum attenuation), the unit may be used as a dummy load for testing or for DI use. The MiniMASS is een 50W attenuator. 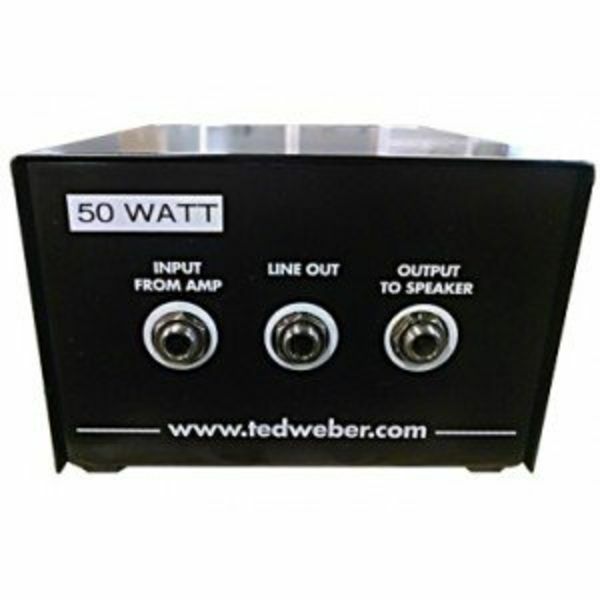 It is best for amps that are rated 30W to 35W maximum. If your amp has a higher wattage, then you need the 100W MASS. You also need a speakercable to use your attenuator!